My rating: A very good help to shy writers – or any writer! This is one of those purchases as a writer I am very glad I made. 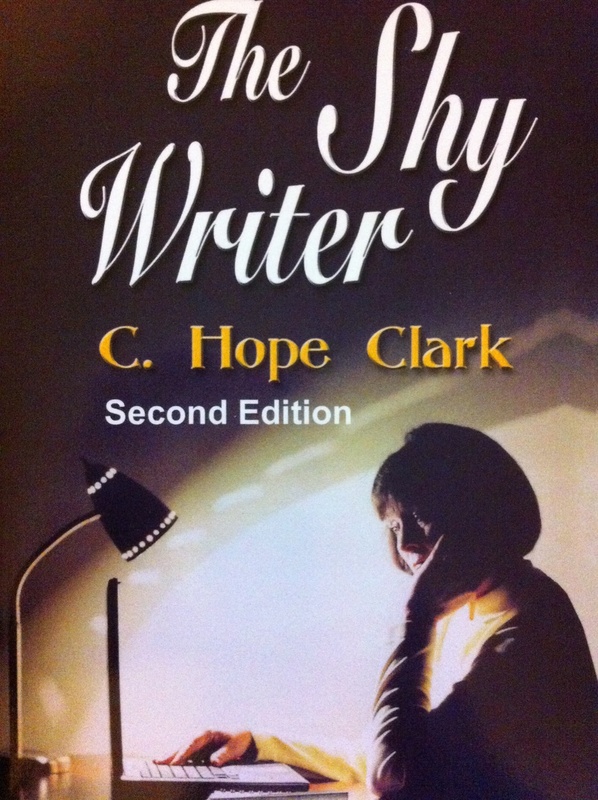 The title immediately appealed to me, and I discovered that – in The Shy Writer: An Introvert’s Guide to Writing Success – author Hope Clark, addresses so many things that I can relate to and that describe me – I admit. In all these chapters I don’t think Hope Clark missed a thing. Being a shy writer herself, Hope understands it all. She was able to cover all areas of one’s inner struggle with what comes after the writing – the marketing and publicity in any form, including how to cope with the often dreaded book signings. She addresses many scenarios and gives examples pertaining to her own life or of other writers she has met. Author Hope Clark gives such sound advice and includes links to many sites where helpful information can be found. For the shy writer this book is comforting and reassuring, well worth having. You can find The Shy Writer on my BUY THE BOOK! page. This entry was posted in Mostly About Reading, Preambles to Writing, Reviews & Interviews, Writing and tagged Book review, C. Hope Clark, introvert writer, introverts, shy writer and marketing, shy writers and publicity, shyness, The Shy Writer. Bookmark the permalink. I’m glad this book exists. I haven’t read it, but I support the subject matter. I’m a naturally terminally shy person myself. I think all my coping mechanisms tend to be atypical and don’t provide good advice for other people coping with being a shy writer. Being a shy writer seems common, though, so I’m glad that someone’s writing intelligently on the subject. Welcome to my blog, Shinyoliver! Shyness has been a drawback for me although it may not always be apparent to people I meet. My writing is mostly invisible to the outside world, so much so that I wonder how I will ever get it beyond the veil of hesitation. I have to push myself to push myself. This book is of great encouragement to me, and I hope you will have a chance to experience that, too. By the way, I read one of your stories on your website. WOW! love it.